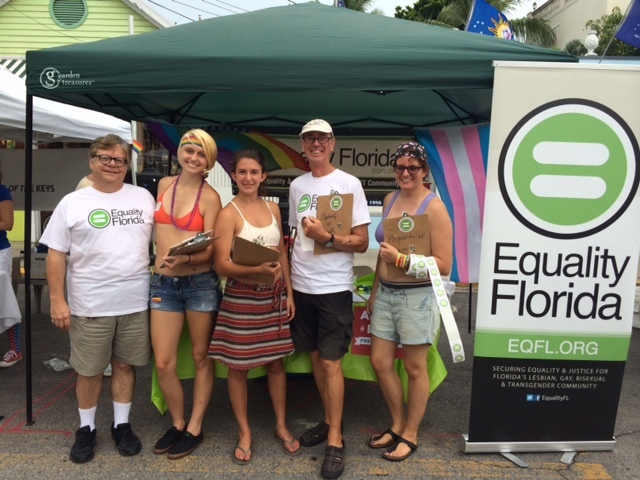 Equality Florida had a wonderful time at Key West Pride last weekend! The event kicked off with a volunteer training on Friday at One Island Family, the southernmost Unitarian Universalist congregation. 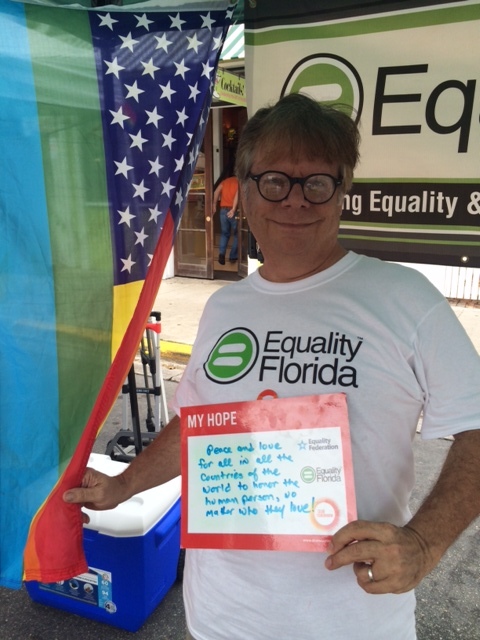 Our volunteers heard about Equality Florida’s work and practiced canvassing for the next day. We shared our stories, experiences, and prepared for a busy Saturday! Saturday’s event included lots of live music, food trucks, and pro-LGBT booths. 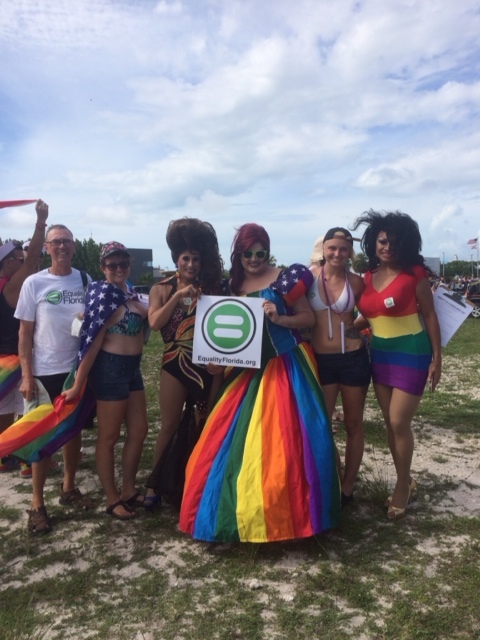 During the festival, Equality Florida was proud to connect with individuals and local businesses in the area. 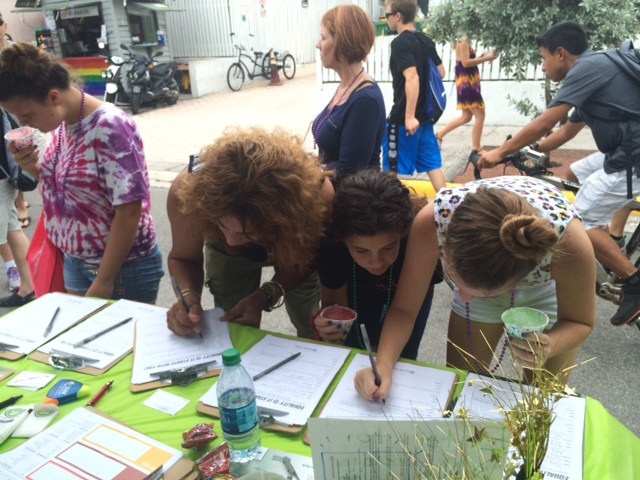 By continuing the conversation and momentum surrounding marriage equality in Florida and with the help of our stellar volunteers, we collected over 700 pledges in support of the freedom to marry nationwide. We also heard beautiful stories about attendees’ hopes, dreams, ad fears for the future of the LGBT movement through Our Tomorrow and Equality Federation’s surveys. One of our volunteers, Tony Minore, shared his hope for the future – “Peace and love for all in all the countries of the world to honor the human person, no matter who they love!" We had a great time on Sunday, dressing up for the beautiful parade! 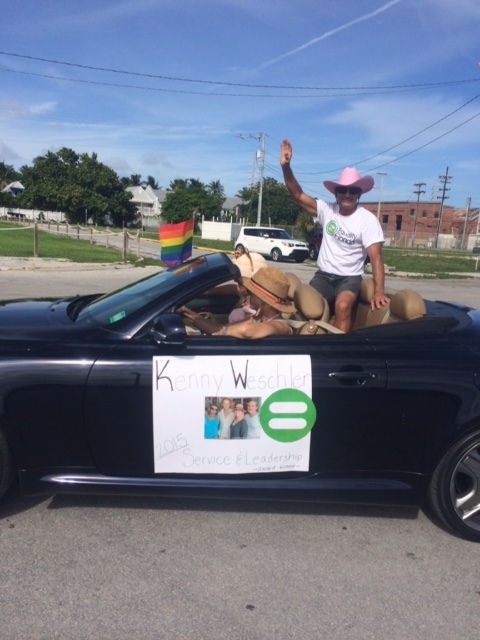 Equality Florida honored Kenny Weschler (2015 Service and Leadership Award receipt) as he rode with us. We also snagged a photo with comedian Bruce Vilanch, famous comedian the grand marshall for the parade! All around, it was a great weekend, Key West was truly beaming with Pride. Thank you to the pride organizers and our volunteers for an unforgettable event!